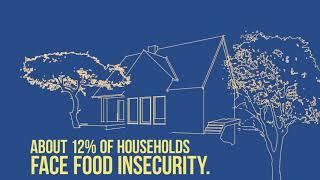 We can make a sustainable difference--let's make it so fewer people live with hunger! CROP Hunger Walks are community-wide events that bring people together in a common mission: helping hungry people at home and around the world. Durham's walk last year raised $158,800. $5,000 more than last year! The Durham portion of this comes to $39,700 which will be distributed to 12 deserving Durham hunger fighting agencies. I am part of Beth El Durham. We are one of the top 5 teams in raising money as part of Durham's walk. Help us do our part to help families in Durham and internationally.